The Venture in action. All photos courtesy of This is Ground. 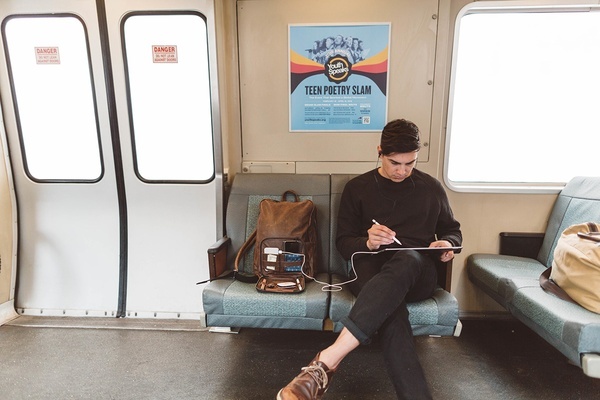 Our pals at This is Ground recently launched a "smart" backpack that will make you feel like the coolest, most in-the-know traveler out there. Crossing town (or the globe) with a laptop, iPad, headphones, and WiFi port can weigh you down — but it's a reality for many, especially those who work from the road. Any given digital nomad out there is probably schlepping office supplies worth thousands of dollars. 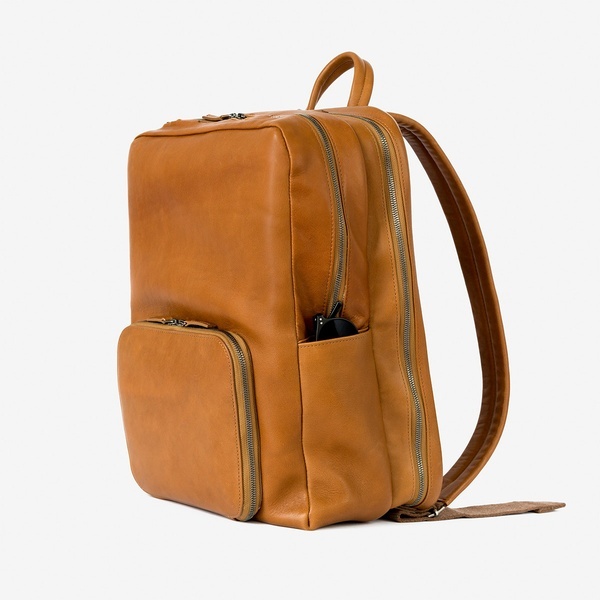 A reliable backpack that protects your gadgets and makes them easy to access is worth investing in. 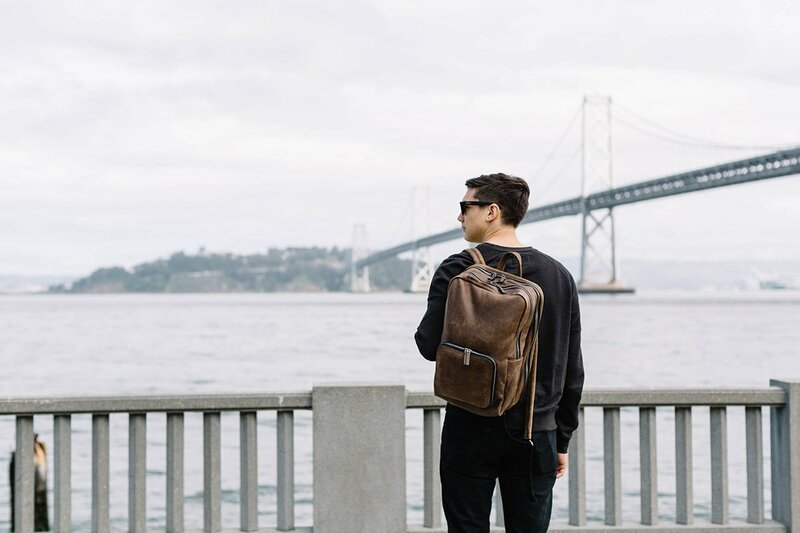 Los Angeles-based leather accessory brand recently launched the Swiss army knife of backpacks: The is not only nice to look at, it's made from soft vegetable-tanned Italian leather (in five colors) and has a host of built-in features that are no-brainers once you've tried them. 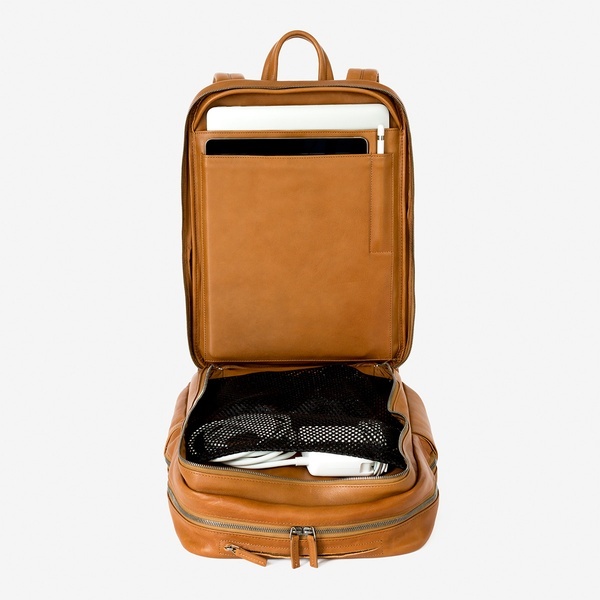 The body of the knapsack is divided into two spacious sections, the larger of which zips all the way down and morphs into a TSA-approved tray for your computer. The process of opening your bag, taking your laptop out of its case, and putting it in a plastic bin that's held countless dirty shoes is a thing of the past. Within this section you'll also find two padded pockets to hold and protect your computer and iPad, the second of which has a special microfiber lining to keep the front of your tablet shiny and clean. A padded leather bumper around the zipper ensures your devices won't get scratched. Attached to the front of the bag is a pocket designed to hold a phone, stylus, pens, cords, and other odds and ends. For an extra $175, you can opt for the pocket-sized , a handy WiFi hotspot that can get up to eight devices online at the same time. What you won't see is a hidden tracking device powered by , which ensures you can locate your bag (and gear) at all times. 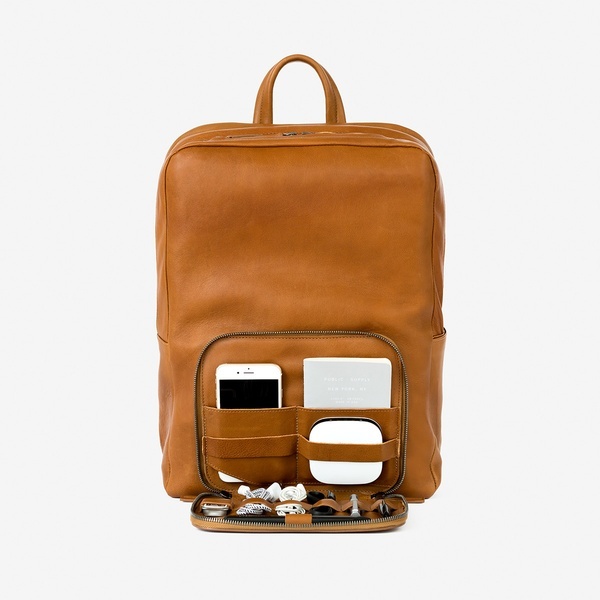 The Venture will cost you about as much as a designer handbag, but we'd say it's well worth the price of handsomely and carefully storing the tech items you could never leave home without. Available online at . Pricing starts at $725 for the mini; $750 for the regular. Karma WiFi is an additional $175.